Final week of the full show at City Arts, 334 N. Mead. 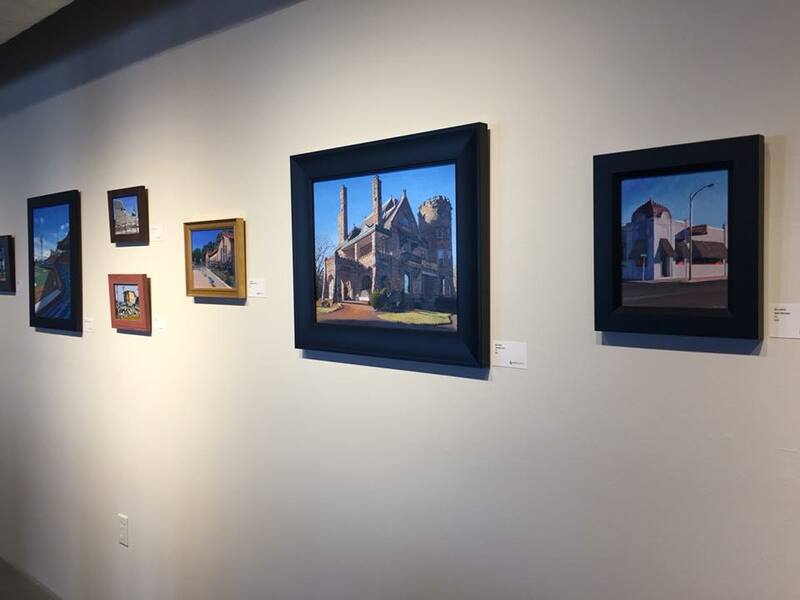 With 60 original paintings from my Wichita series (and more from Alaska), new art prints at the front desk, and now framed canvas prints in the boutique! 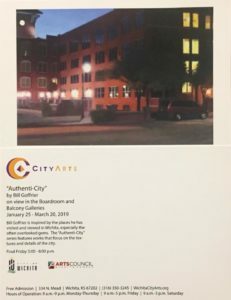 A full scale exhibit of Goffrier’s Wichita paintings, “Authenti-City” will be held at City Arts, 334 N. Mead, in Wichita, Kansas from January 25 through March 20. 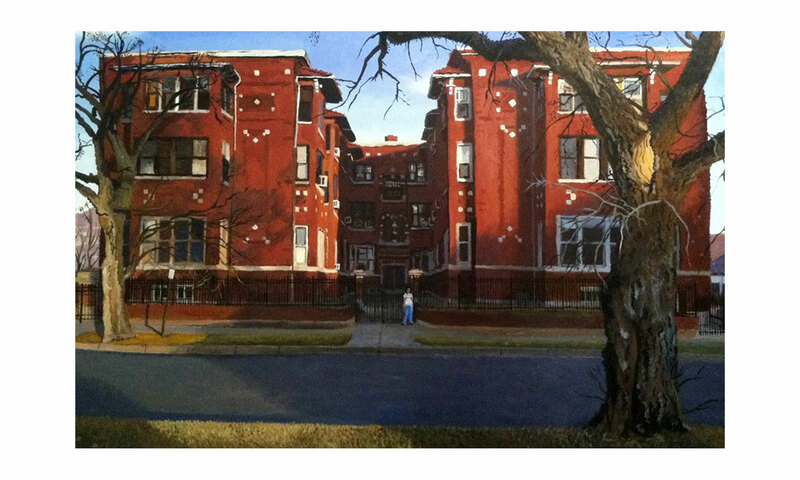 We’ve added a large number of Goffrier’s Wichita painting series Authenti-City, with over hundred images. Click the Authenti-City menu topic to view the gallery, click the info button to view extended info for each painting. This is a new updated web site for artist Bill Goffrier. Please check back for updated information on his work.